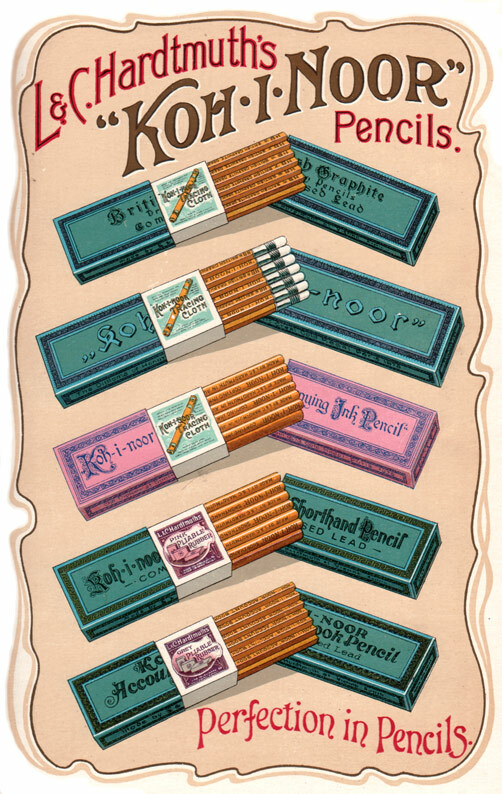 Today I am excited to discuss the beautiful world of pencil designs and some inspiring brands that dictated the pencil construct for years to come. Many of the stationery items we have grown up with have a rich history and beautiful design stories behind them. The first highlighter, STABILO BOSS is fat and flat because its designer lost his head in a meeting and stamped his fist on a clay prototype. For some of us, that Eberhard Faber eraser belonging to our great-grandfather, or that brown Natur eraser with pen marks or doodles drawn on it, marks an era when design tools could be romanticized. In this digital world of touchscreens and backspaces, we are more starved than ever for objects that meet form and function and give us something more real and tangible. That is why typewriters, pencils, fountain pens of yesteryears are so close to our hearts. Browse through these beautiful vintage ads and catalogues, and no matter where you are, you will be inspired to surround yourself with all things vintage and stationery. 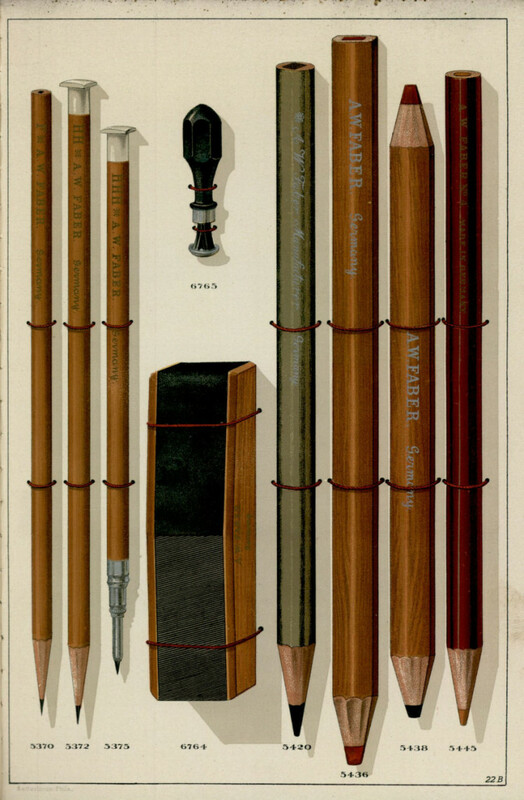 In the 18th and 19th century, leads that were used in pencils were drawn from slabs of graphite and cut into square shapes. These square leads were then framed in a wooden body. 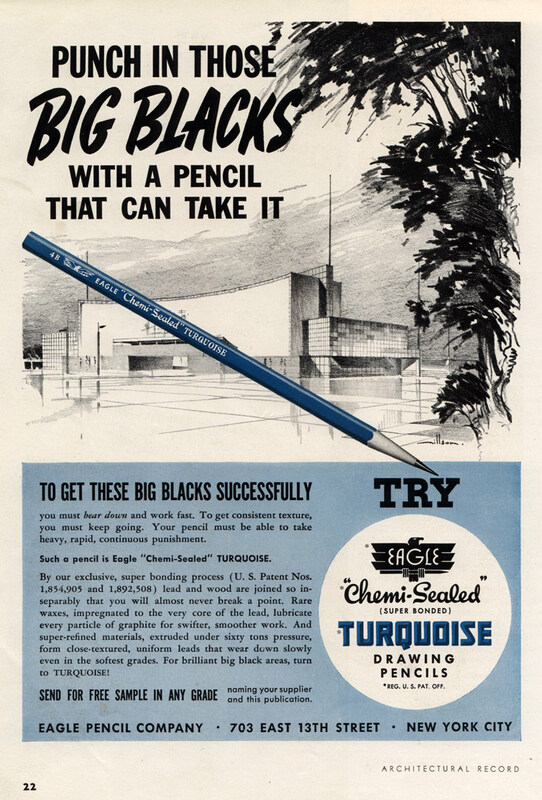 But soon they gave way to round designs in an attempt to create pencils on a mass scale. Did you know, pencils were primarily designed to be left-handed? The tradition continued until the late 19th century. The lead marking were in “HHHHHH” and had a clear lacquer finish. These design elements were later altered by A. W Faber in his attempt to catch up to the new trends ruling the design tools industry. 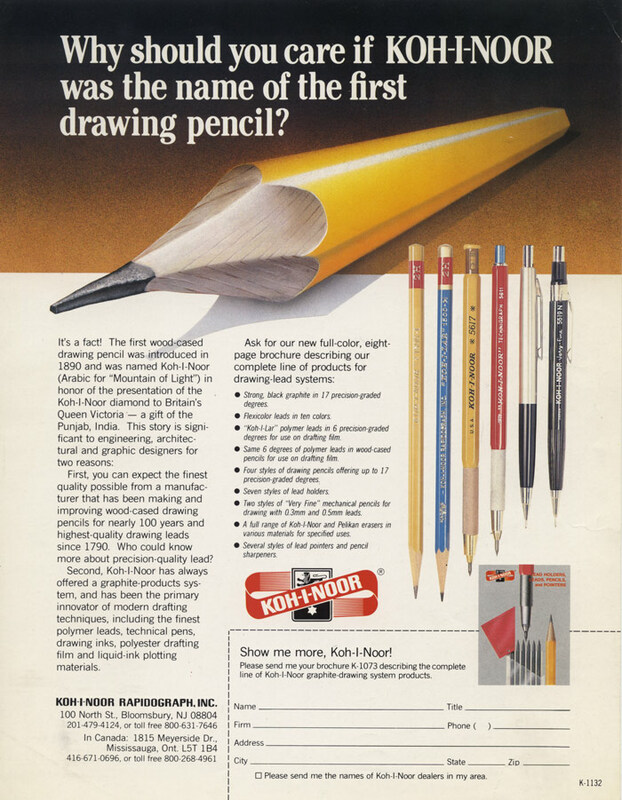 The Koh-I-Noor pencil designs which were introduced in 1980s inspired future constructs for years to come. One of the ubiquitous design elements of painting the pencil in yellow was imitated by many manufacturers. 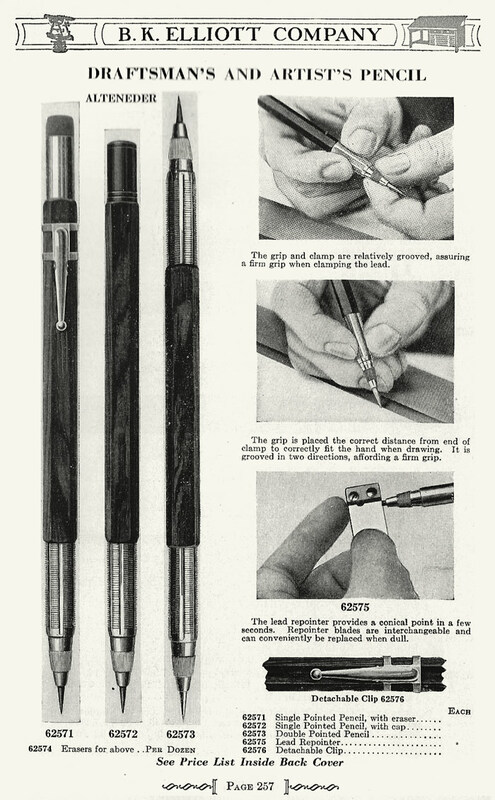 The old vintage pencils were finished in clear lacquer and showcased the refined quality and the uniformity of the wooden body around the lead. Having a color to pencil’s wooden skin was a fairly new concept back then. 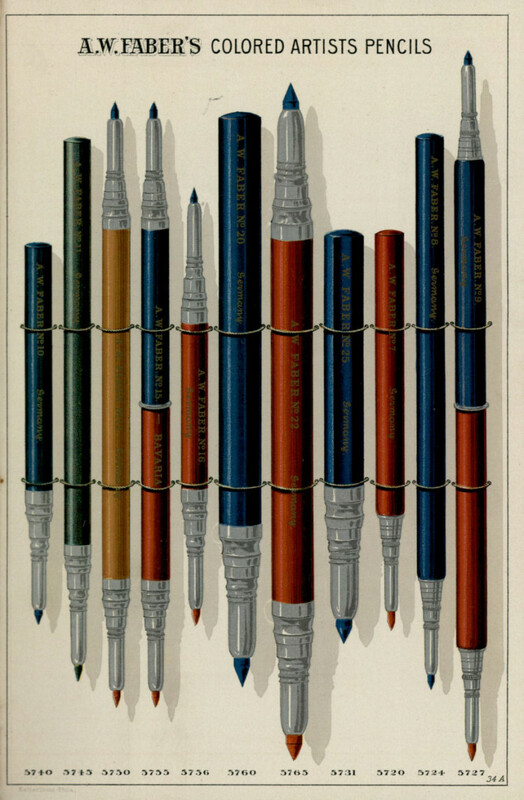 These pencils when introduced were considered bourgeoisie than the clear lacquered finished pencils. Thanks to Dennis B. Smith of Leadholder (leadholder.com) for allowing us a peep into the beautiful vintage advertisements and its long copy. These beautifully worded vintage ads make for such engaging reads. These instruments of mass creation still continue to rule the world, writing stories, illustrating thoughts and filling the blank sheets of the paper with their magical black world.